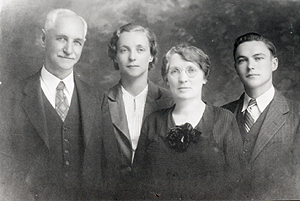 The Strachan Foundation was established in 1994 by Harry W. Strachan to honor the work of his grandparents, Harry and Susan B. Strachan, his parents, R. Kenneth and Elizabeth W. Strachan, and his aunt and uncle, W. Dayton and Grace S. Roberts. Each of these individuals dedicated their professional lives to missionary service in Latin America. Their faith required both preaching the Gospel and attacking the problems of poverty, illness and injustice. Their legacy encompasses a wide variety of activities and institutions that include ministries active in Spanish-speaking parts of New York and Los Angeles, Mexico and Central and South America. They led evangelistic campaigns throughout Latin America. They established schools, a home for troubled children, day care centers and summer camps, a hospital, radio stations, a publishing house, bookstores, caravans of medical care to rural areas, porgrams for the aged, as well as, churches throughout the region. Some of these institutions no longer exist, but many continue to thrive, even without endowment or assured sources of funding. The continuing impact of their efforts bears witness to their awareness of important needs, their vision of effective solutions and their ability to recruit and empower others. Each person evolved his/her personal understanding of how God works on the planet and thus, each one had a unique spiritual journey. Harry and Susan’s children, Kenneth and Grace and their spouses, continued their parents’ work, but also initiated additional activities relevant to their time. Present family members have likewise taken a variety of spiritual journeys, but have continued to serve others in many different ways. This foundation reflects that heritage of commitment and stewardship and desire to see Central America develop in the broadest sense of that word.